Having spent the afternoon earmarked for exploring Copenhagen waiting for a rail replacement bus in Malmo, I don’t really have much to report from Denmark. My exploring was more or less around the station and although I didn’t stay at this hotel, I may next time I visit, just to walk up and down the stairs! Despite being quite central I found a couple of big open spaces between the station and the meat packing district. And some great street art too. 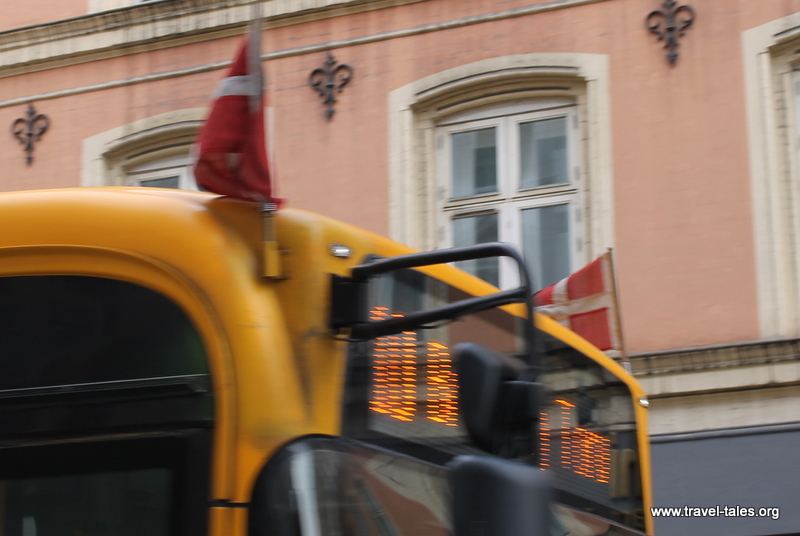 And just in case you forgot you were in Denmark, the busses all fly the local flag! Having been unable to visit the real mermaid due to time constraints, I was really pleased to find a replica in the departure lounge in the airport the next morning.